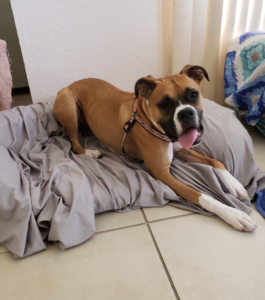 Available Boxers – Boxer Friends Inc.
ROXY - is an approximately one year old boxer girl. She loves to play and will do best with a dog of her size and energy. A 6 foot fence is a must. She is interested in cats but so far does not seem to be aggressive with them. She has not been tested around children but she may be too energetic for households with young children. She is spayed, microchipped and up to date with vaccinations. If you are interested in Roxy please fill out the foster application or adoption application. DOTTIE - is an approximately 9 - 10 year old girl but don't let her age deter you. She's got lots of spring in her step. Dottie is sweet, adorable and the perfect boxer package. So far she has gotten along with everyone and has not shown aggression to any other dogs. Dottie is up to date on vaccinations, microchipped, heartworm negative and on heartworm prevention. She will be spayed before we place her. If you are interested in Dottie please fill out the foster or adoption application. Please note we do not adopt outside of our service area which is Southeast Florida. Adoption Fees help Boxer Friends cover our vet fees. The following are our adoption fees. Below is a list of upcoming events that our Boxer Friends booth will be set up at. Please stop by, meet our Boxers and help support our great cause! We also sell many items that we know you will love! Dog friendly event with great music and scenery. We've got lots of volunteer opportunities and we'll be happy to help find what works best for you. We are proud to be a partner of KING KANINE products including KING KALM. Please use the above link when purchasing products and Boxer Friends will receive a % back which helps us to continue our mission of saving dogs. 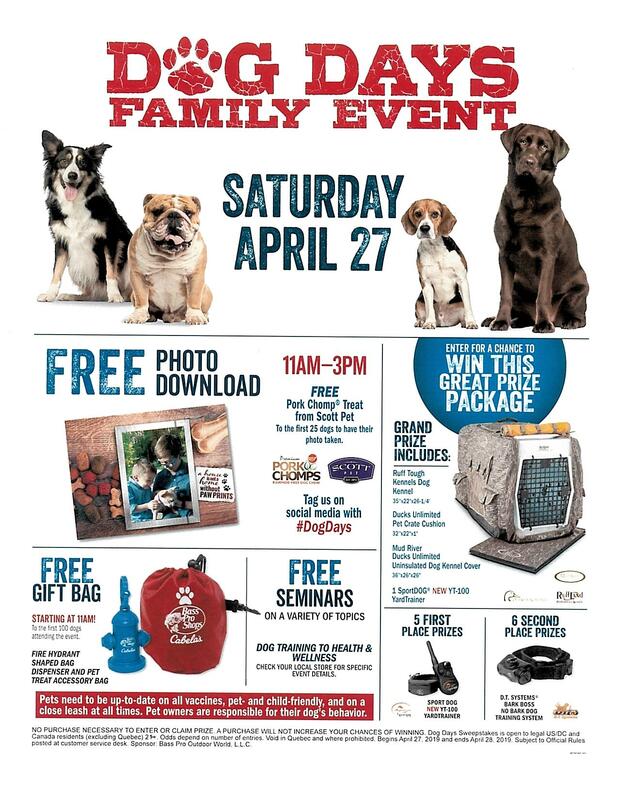 Boxer Friends, Inc. is proud to be a Partner for Pets! BISSELL and LostPetUSA.net have teamed up to help organizations like ours raise money, and now you can help too! When you purchase pet products on bissell.com and enter the code ADOPT at checkout, a portion of your purchase will be donated to our rescue. What’s more, every purchase goes towards an entry for us to win a $5,000 quarterly giveaway! •	Then select our rescue! Copyright © 2019 Boxer Friends Inc. . All rights reserved.